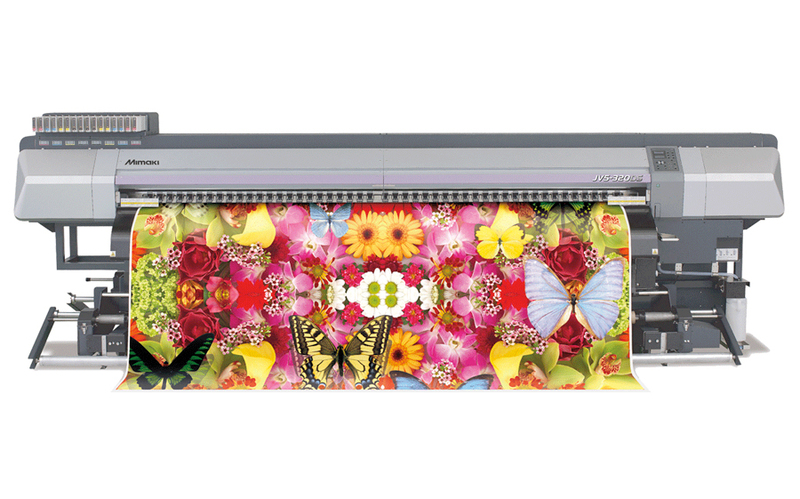 JV5-320DS series offers digital print companies and signmakers a super wide solution for direct printing onto polyester based materials, such as flags, banners, and other soft signage. 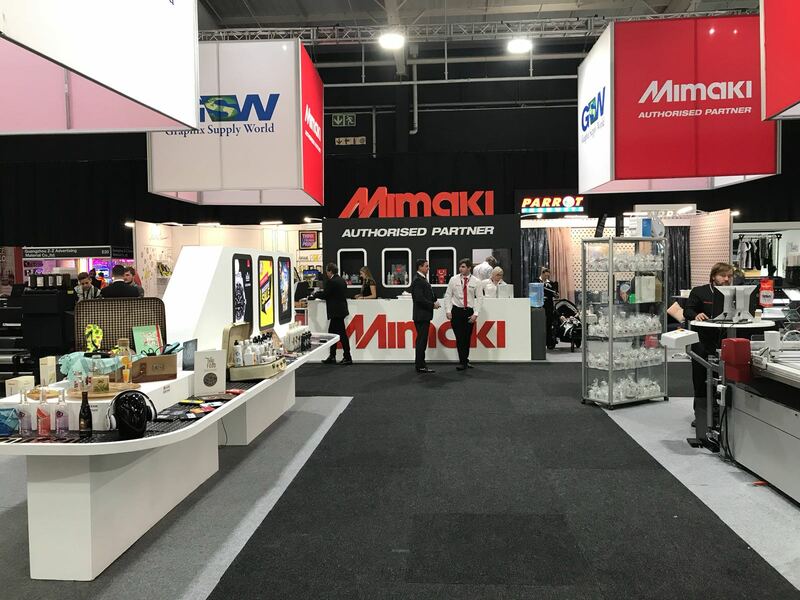 The Mimaki JV5-320DS prints high quality graphics at high speeds up to 60.3 sqm/h. This method enables direct printing on pretreated polyester using dye sublimation inks and post-treatment heating in order to achieve the highest quality and bright vivid colours. Transfer paper is not needed, saving costs especially when longer runs are printing. In dye sublimation transfer printing, the image is printed onto transfer paper. After printing, a heat press or a calendar is needed to fix the image onto the substrate. The advantage of transfer printing is the high quality and durable output for both polyester based materials and hard substrates. When one ink cartridge runs out, another cartridge of the same colour begins supplying ink. 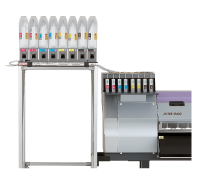 A maximum of 1760 ml ink per colour can be loaded at once. Ink cartridges can be changed during printing and unattended overnight continuous printing is possible. JV5-320DS enables secure and accurate feeding of heavy media up to 3250 mm width and up to 100 kg weight. The machine incorporates a tension bar to maintain constant media tension. In addition, a take-up device for adjusting take-up tension is included. Thus, both heavy and less wide media can be used with ease. Automatic nozzle drop-out detection (optional) monitors ink-discharging state from print head and ink clogging is quickly detected and cleaned, saving the waste of media and ink. At high print speeds an additional ventilation fan on the large format printer supports drying of the media thus enabling rewinding. USB2.0 interface supports high-speed data transfer. A small take-up device which can adjust take-up tension is supplied. Even narrow media can be taken up without using a shaft.